It is easy to eat well on the Costa Blanca. Let us show you some examples of what you can enjoy in this very popular place visited by thousands of visitors every year. 1. Gazpacho. his is a refreshing cold soup made of deep red tomatoes, cucumber, onion, olive oil, bread and a bit of garlic. Everything is blended and served in a chilled ceramic bowl. This is a great alternative to a salad and is as healthy as it can be. 2. Tortilla española. You can find Spanish omelette everywhere you go. Potatoes, eggs, olive oil and a pinch of salt make the perfect tortilla. Onion is also an option. 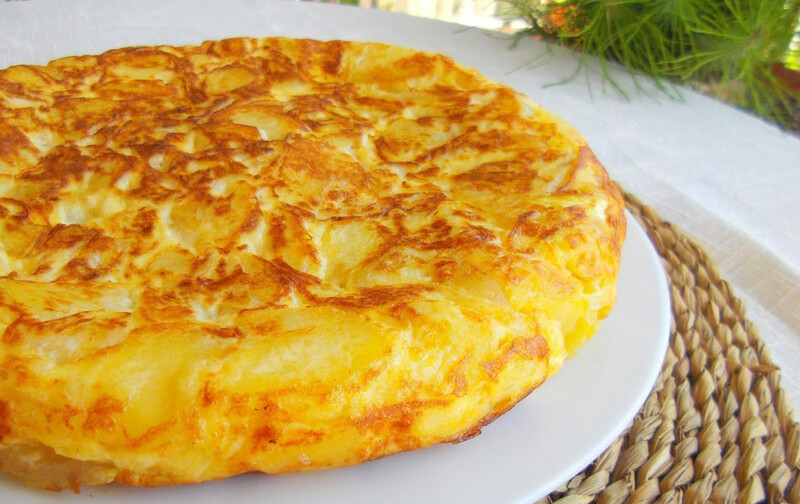 Spanish tortilla tastes better when served cold. 3. Ensaladilla rusa is a potato salad mixed with tuna, mayonnaise, peas and carrots. It can be found in most bars and any typical Spanish restaurants. Enjoy your Spanish style Russian potato salad with crunchy breadsticks. 4. Melon with cured ham. This sweet salty combination will surprise your tastebuds. The rich saltiness of cured Spanish ham and the sweetness of ripe melon make a great summer appetizer. 5. Tinto de verano. This "summer wine" is a classic beverage made with around one-third red wine topped with two-thirds sweetened soda or any lemon-lime soda. Just the perfect drink to cool off!